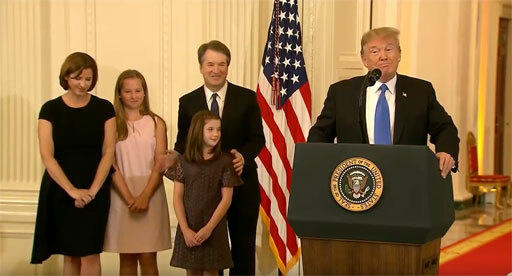 Ending wide-spread speculation, Donald Trump tonight nominated Judge Brett Kavanaugh of the U.S. Court of Appeals for the District of Columbia Circuit where he has served since 2006. The 53-year-old was also a clerk for now-retired Supreme Court Justice Anthony Kennedy, who he will possibly replace. Watch the nomination announcement below.